The correct identification of the link between an entity mention in a text and a known entity in a large knowledge base is important in information retrieval or information extraction. The general approach for this task is to generate, for a given mention, a set of candidate entities from the base and, in a second step, determine which is the best one. 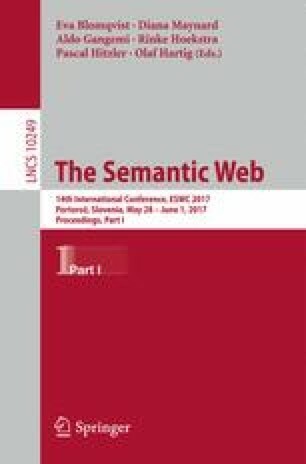 This paper proposes a novel method for the second step which is based on the joint learning of embeddings for the words in the text and the entities in the knowledge base. By learning these embeddings in the same space we arrive at a more conceptually grounded model that can be used for candidate selection based on the surrounding context. The relative improvement of this approach is experimentally validated on a recent benchmark corpus from the TAC-EDL 2015 evaluation campaign. This work was supported by the French National Agency for Research under the grant PULSAR-FUI-18 (PUrchasing Low Signals and Adaptive Recommendation).